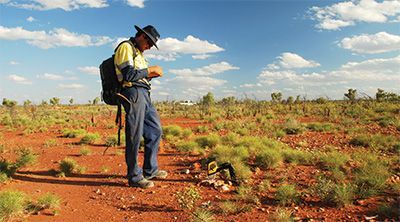 Portable XRF can provide productivity increases through on-site, immediate geochemical analysis results. Make decisions on the spot. Why Should you Choose Olympus DELTA Handheld XRF? The DELTA brings the power and flexibility of handheld X-ray fluorescence spectrometry to the field. Ruggedized and ultra portable, this dramatically fast 24/7 technology provides accelerated testing times, allowing for hundreds more tests to be conducted per day with analytical confidence. The DELTA series analyzers are configured with powerful miniature X-ray tubes, Si-PIN detectors or highly advanced Silicon Drift Detectors (SDD), specialized filters, and multi beam optimization for the ultimate in XRF field analysis. The DELTA's real overall value is to help make decisions in real time with minimal reliance on off-site laboratory testing.